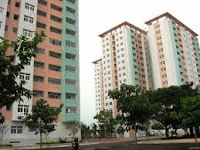 In Vung Tau city, there are many apartment buildings, which were built with high quality and modern design as nice place to live and weekend vacation for people in Vung Tau city, neighboring provinces, Vietnamese from overseas and foreigners living and working in Vung Tau, who loved a quiet, cool and poetic environment. 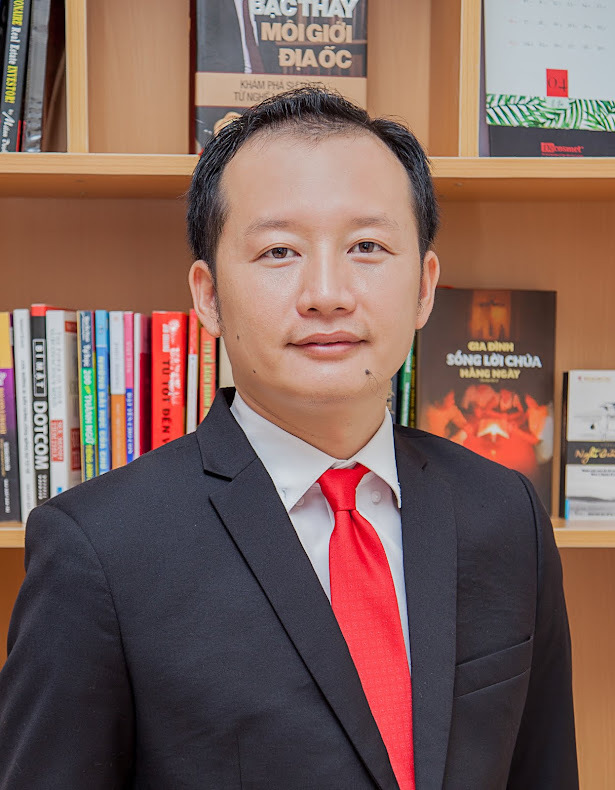 When customers own the apartment-hotel complex project - Apartment Son Thinh 9, customers will be allowed to own a ideal luxury apartment located on the road on Thuy Van St, is one of the most beautiful Streets, 50 m to Thuy Van beach, Sơn Thịnh 9 is located located in the tourist center of Vung Tau city, a wonderful place is suitable for holidays and vacation and business travel, a cool ideal space and design is fully welcome the fresh wind from the sea into the design trend "Green Architecture" and the power supply, water supply, waste treatment, security camera system, separate telecommunication systems and full furnished equipment in each apartment will offer the owners luxury and cozy feeling. 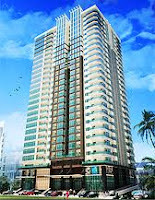 Trade center - Building has 20 floors, including 03-storey commercial center and 238 apartments are designed and equipped modernly with 1, 2 or 3 bedrooms, sea view or city center view balcony . 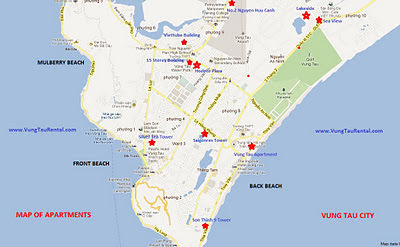 Saigonres Tower is located on the corner of Le Hong Phong and Xo Viet Nghe Tinh, opposite the Post Office, 300m to the International Convention Centre, 200 m to the Vung Tau bus station, 300 m to Central Market ... only less than 1km to Back beach and Font Beach. 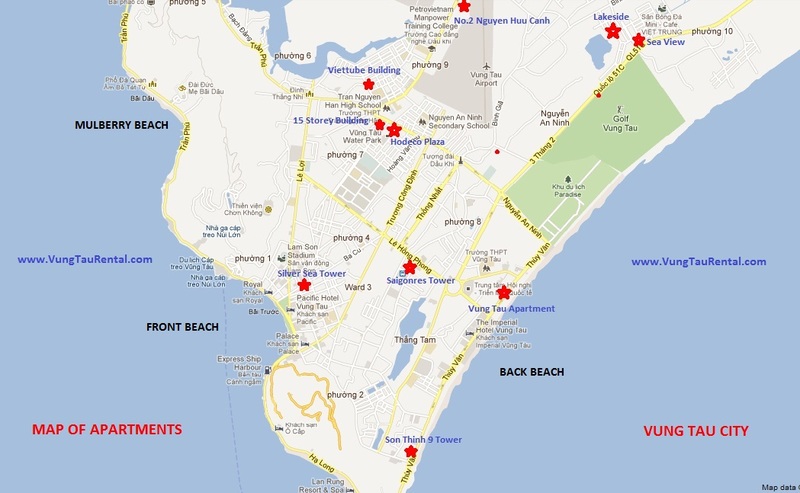 It located next to the Back Beach, Vung Tau City, 80 m to Thuy Van beach. There are many apartment for rent here, these are suitable for foreigners and expats they want to stay with sea view and sea breeze, come here and come back to your home! 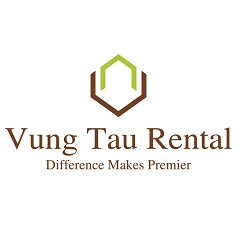 Is located in commercial center in 3 adjacent frontage road: Nguyen Thai Hoc – Nguyen An Ninh – Truong Van Bang. 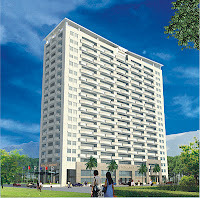 The 21 storeys supermarket and apartment-office complex is located in a position for a comfortable and modern lifestyle. 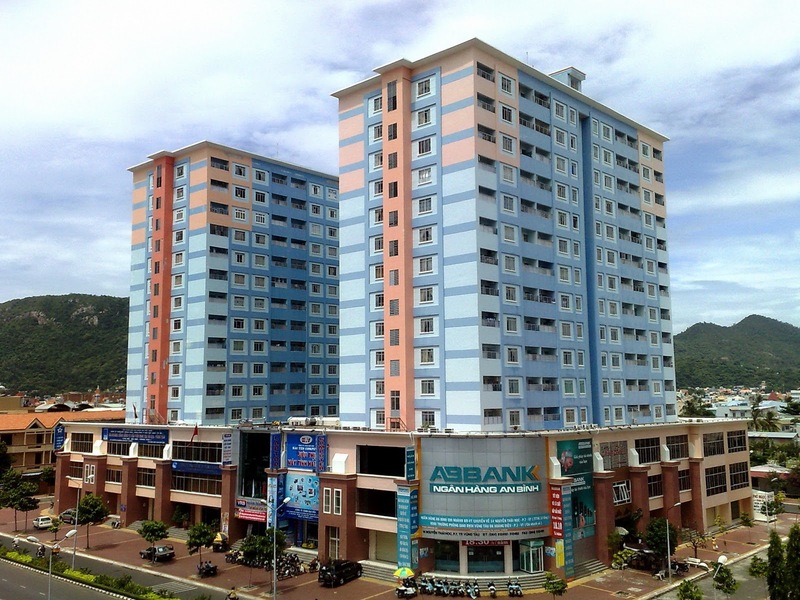 It brings the unique convenience for the densest of eating and shopping center of Vung Tau city. 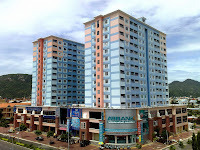 Hodeco plaza is consists of two 21-storey blocks (Blocks A & B), basement for cars and motorcycle, 1st-2nd and 3rd Floor for rental super market and office. 4th to 21th Floor is 594 apartments, the area from 67.6 m2 to 106.6 m2. Each block has 04 lifts, big volume and high speed, 03 stairs. 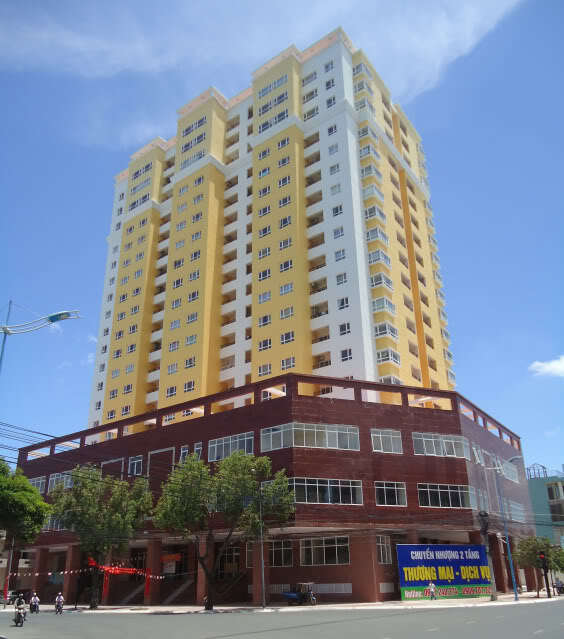 It is located in Commercial Center, located adjacent the second front of Nguyen Thai Hoc, Ngo Duc Ke, a combination of 15 Floor Apartment and commercial center is located in a position for the convenience and modern lifestyles. 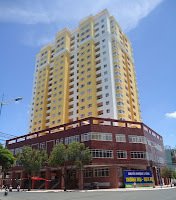 15 STOREYS APARTMENT BUILDING is the first high-rise apartment of Vung Tau Housing Development Corporation construction. 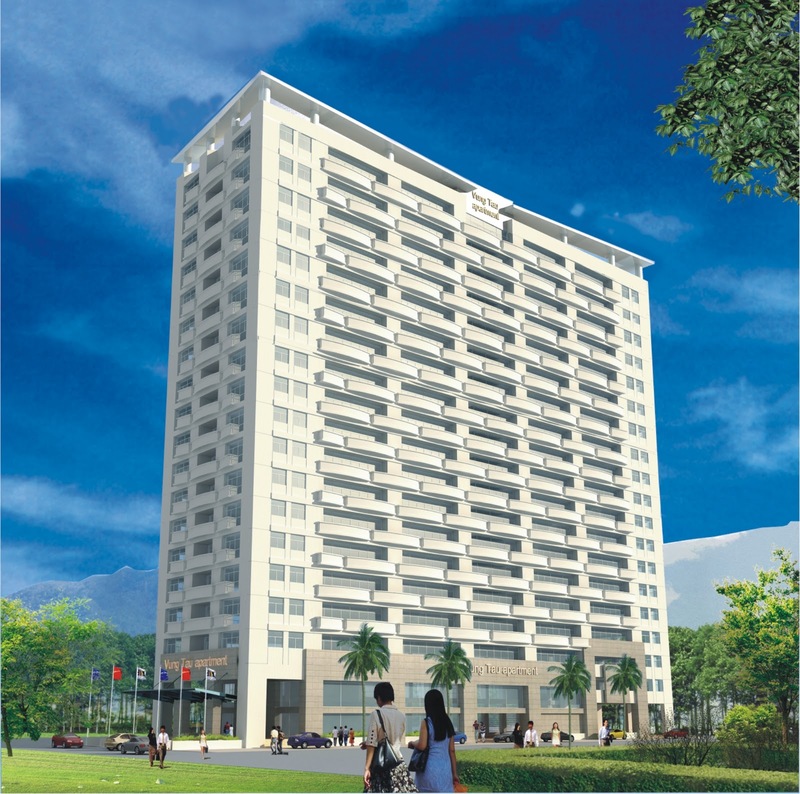 The whole project consists of nearly 300 apartments, 45-84 sqm in area, and 18 serviced and selling combination apartments with three floors, 250-1000 sqm in area. The project was started in 2002 and completed in 2005. 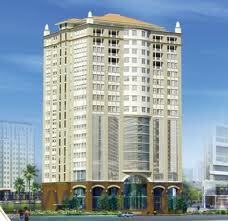 Lakeside Building Complex has 04 blocks, each block has 16 floors, a total of 756 apartments. 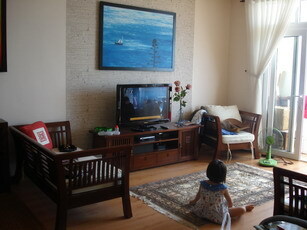 The area is from 64m2 - 109m2, fully equipped with modern equipment, facilities, safety, and complete service system. 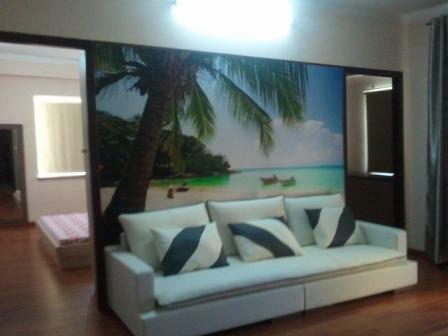 Silver Sea is designed and constructed by famous oversea architects and engineers, bring Silver Sea Tow the value of luxury and quality. As the name SILVER SEA TOWER - Shining Silver is adorned natural beauty of the coastal Vung Tau city. 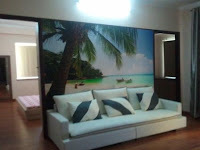 Silver Sea will provide you and your family an authentic upper living class. 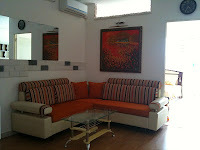 Detail: fully furnished, wooden furniture, sea-view and lake-view balcony, city center, commercial area. Detail: fully furnished, modern equipment, city view balcony & bedroom, cable TV, high-speed internet..
Posted in: Apartment For Rent in Vung Tau , House for rent vung tau , Low price , Son Thinh 9 - Thuy Van Building , vung tau accommodation , Vung Tau Apartment , Vung Tau Apartments , vung tau city.